Beatles FAQ: The shortest Beatle' song? The shortest Beatles song is only 23 seconds long and was unlisted on its original vinyl release. 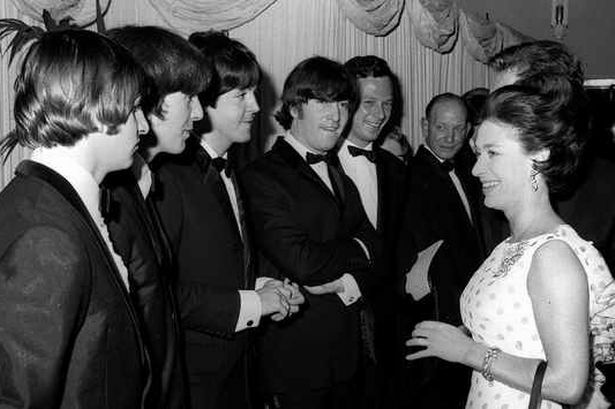 Her Majesty bursts into life 14 seconds after what appears to be the end of Side 2 of Abbey Road. This makes it one the first 'hidden tracks'. Ian Macdonald describes it as a 'party piece' that McCartney was unsure how to use. Arriving early at the studio after a break in July 1968 he recorded it in three takes. He then experimented with inserting in the Long Medley (between Mean Mr Mustard and Poythene Pam but didn't like the result. Thankfully, all Abbey Road engineers had been instructed to never discard anything recorded by The Beatles. So Kurlander added the discarded song to the end of the master tape: inserting fourteen seconds of the lead-out tape which creates silence between "The End" and "Her Majesty". The next day Paul was listening to the playback - and with the tacked-on Her Majesty. 'Now that works!' he said. Her Majesty now has a track listing and officially ends Abbey Road. It is a fittingly innovative way to close The Beatles recording career.